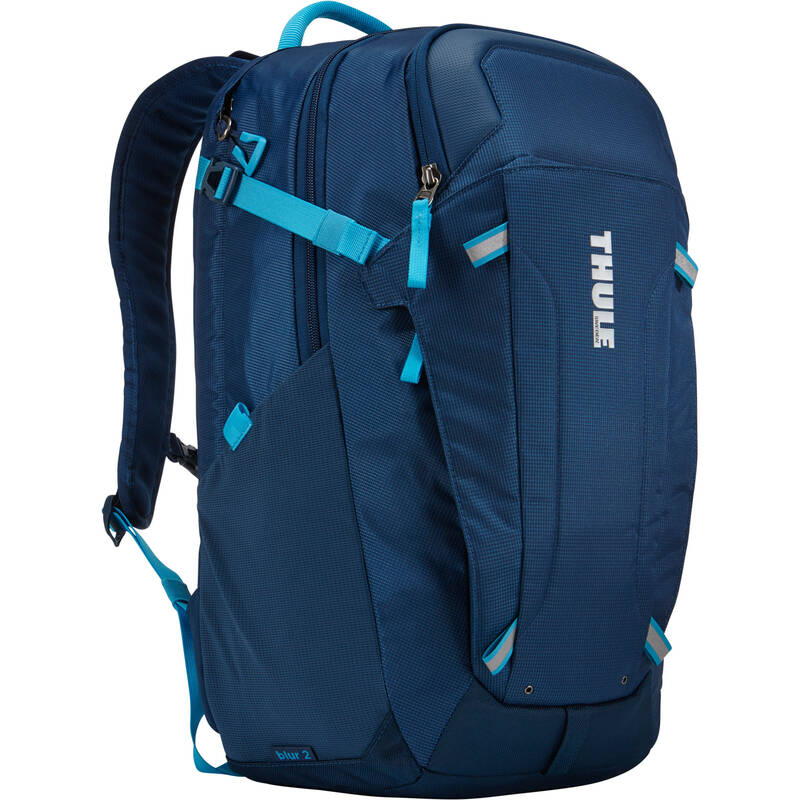 Carry an up to 15.6" laptop, tablet, and related gear in style with the Poseidon EnRoute Blur 2 Daypack from Thule. The Daypack has a spacious main compartment with a separate laptop compartment and a sleeve for your tablet. A special crushproof compartment is designed to protect your smartphone, glasses, and other small fragile items. For added versatility, the laptop compartment doubles as a storage area for an optional, sold separately, hydration reservoir. Water bottles may be stored in the mesh side pockets. Unzipping the front flap reveals an organizational panel with slip-in and zippered pockets for pens, notepads, accessories, and a key clip. Additional gear may be attached to hideaway lash points. Reflective details on the pack help improve nighttime visibility. Carry the EnRoute Blur 2 by the top handle, or wear with the shoulder straps and connector. Back panel airflow channels and padding provide improved cooling and impact cushioning. Box Dimensions (LxWxH) 20.157 x 12.047 x 5.039"
EnRoute Blur 2 Daypack (Poseidon) is rated 5.0 out of 5 by 1.